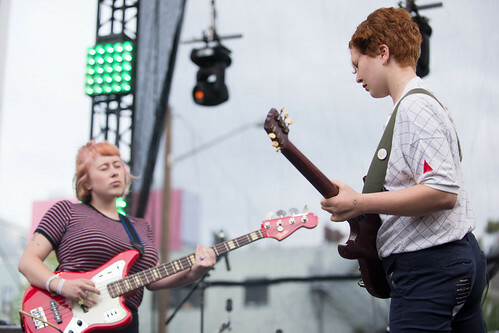 The Vera Stage's sound has been notably quiet (especially compared to the sometimes deafening main stage) all weekend, but that didn't bother Girlpool, the drumless duo of Cleo Tucker and Harmony Tividad. In fact, if anything, it probably galvanized the Los Angeles duo. 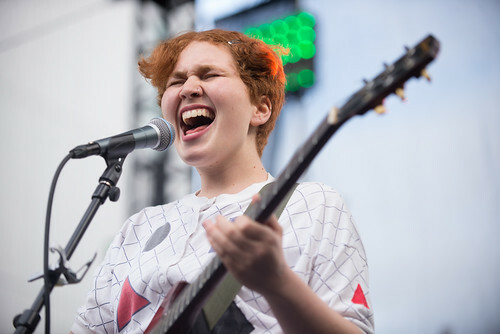 Their music is emotionally and melodically direct, and its lack of volume forces the listener to pay attention. It's a smart play, and in a live setting, it works just as well. Tucker and Tividad's twin vocals aren't necessarily harmonies, but their unified delivery gives their songs gravitas, empathetic heft powered by their mirrored voices. 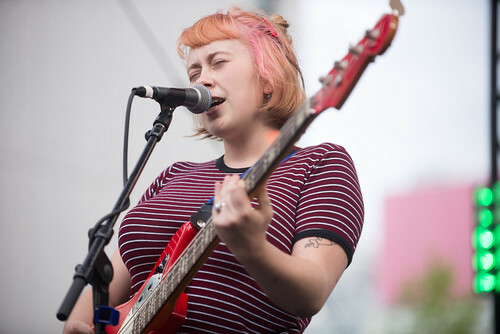 Their debut album, Before The World Was Big, hasn't even been out for two months, but it's clearly connected with an audience in an intimate way that many records don't, as there were a strong contingent of fans up front singing along with the duo. The pair's world is undoubtedly getting bigger, but they've admirably made their invitation to their world one that demands empathy and respect. Even more admirably, people are joining in. 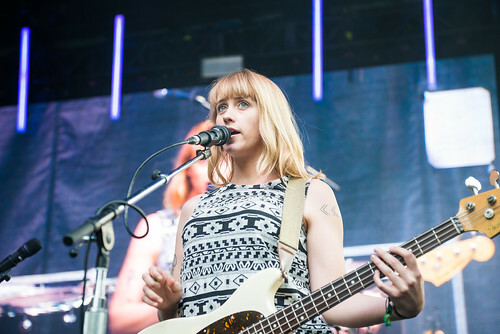 "Thanks to Block Party for inviting us to play," grinned Wye Oak's Jenn Wasner. "And thanks also for the bottle of whiskey with out name on it." 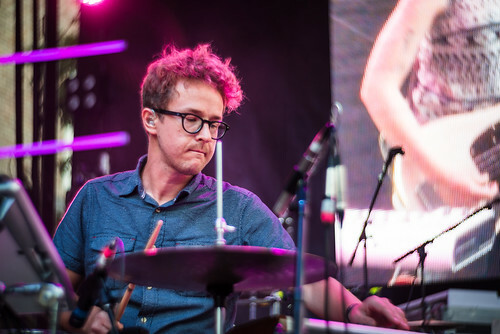 Despite playing during one of the day's rainier hours, Wasner and bandmate Andy Stack were in good spirits for Wye Oak's third show in nearly nine months. 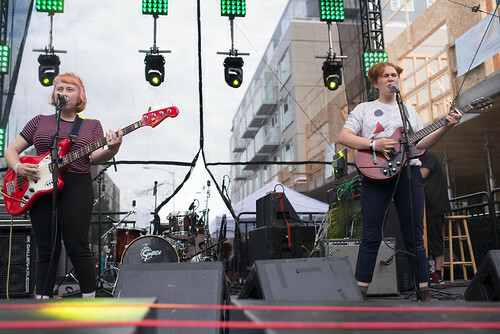 Drawing heavily off of last year's underrated Shriek, Wasner switched between bass and guitar as she and Stack worked through most of Shriek and Civilian under a grey sky, which happened to be an excellent backdrop for the Baltimore/Portland duo's music. 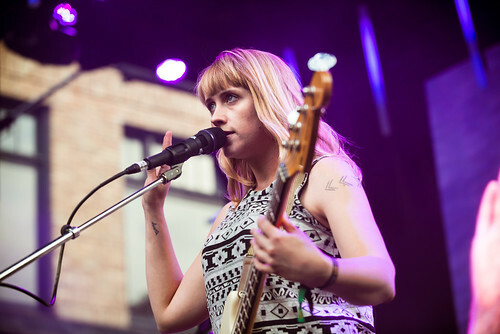 One would expect the transition between songs from Civilian and songs from Shriek to be a jarring one – the former album is a noisy, guitar-driven break up album and the latter a synth-heavy, arty pop record – but Wye Oak have conquered the formidable challenge of integrating the two styles into one set. In either case, Stack is an understated, brilliantly-talented performer, playing keys and bass simultaneously for 95% of the set. 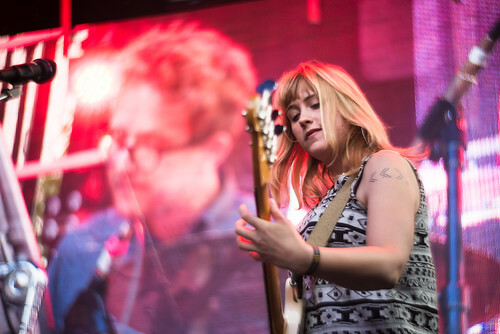 Similarly, Wasner's jumps between spiky basslines and thunderous guitar (still her best onstage tool, despite it no longer being her primary creative instrument) were a thrill to see in succession, proving that even if Wye Oak aren't the road dogs they once were, they've got the chops (and the songs) to tap into the spirit that turned them into a top-notch live band in the first place. 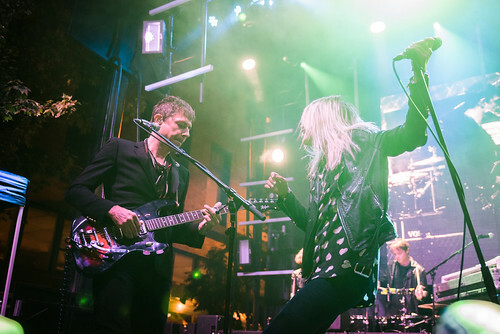 For well over a decade, The Kills' onstage setup was uniquely spartan, consisting of little more than the band's two members, their guitars, and their drum machine. 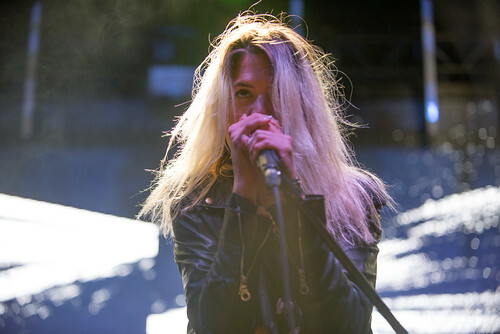 But when Alison Mosshart and Jamie Hince arrived onstage for their first show of 2015, they weren't alone. 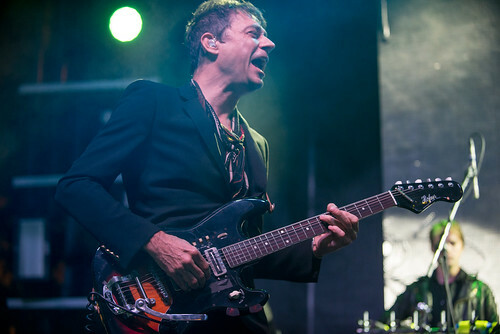 Flanked by four percussionists in the rear of the stage, Hotel and VV were no longer attached to center stage, which left them both able to strut up and down the stage and capitalize on their songs' jagged punch. 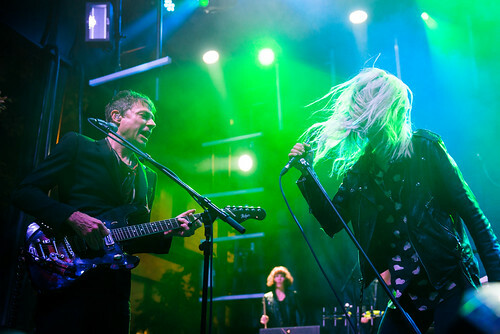 Even though they haven't released a new album in four years, The Kills have been a fairly consistent presence on the touring circuit since the release of 2011's Blood Pressures, and a powerful one at that. 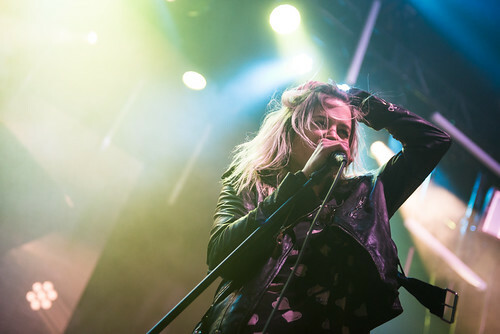 Much of that is due to Mosshart, who remains one of the best frontwomen of the past decade, equally masterful in her sultry and combustive approaches. 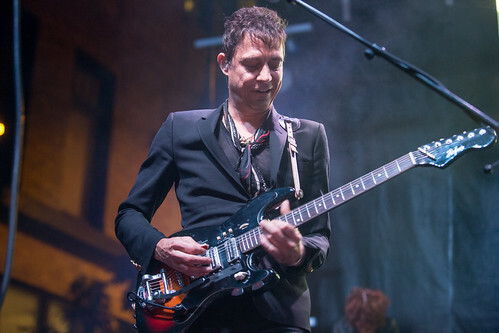 That's not to say Hince is any less crucial to the mix, as his ragged approach to rhythm guitar is the backbone of most of the band's material, and his onstage presence the cool counterpart to Mosshart's fire. 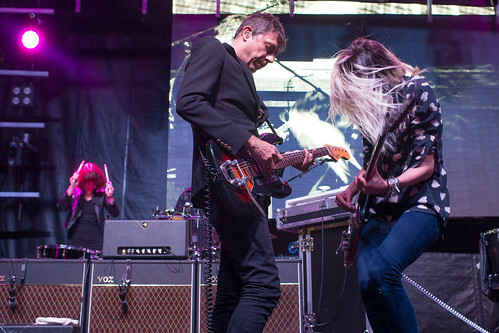 Running through a career-spanning set (with a bit of new material in the mix), the new percussion-heavy setup breathed new life into the Kills' consistently strong catalog and made it clear that there's no going back to the drum machine.